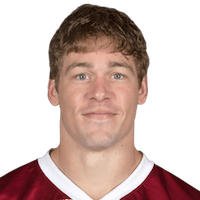 Published: Nov. 2, 2014 at 01:49 p.m.
Arizona Cardinals quarterback Carson Palmer completes a 7-yard touchdown pass to tight end John Carlson. Published: Nov. 16, 2009 at 04:43 a.m.
(3:42) (Shotgun) M.Hasselbeck pass short middle intended for D.Branch INTERCEPTED by A.Rolle at ARZ 17. A.Rolle to ARZ 30 for 13 yards. Lateral to R.Brown to ARZ 35 for 5 yards (J.Carlson).